The staff was very nice! Definitely a good pick in Edinburgh! 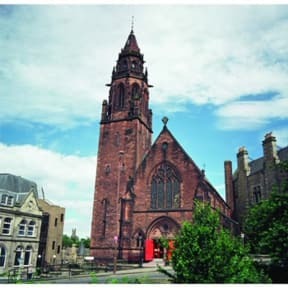 Belford Hostel is a pleasant place to stay when you visit Edinburgh. The staff was very kind en the hostel was clean and quiet. Our private twin room was very small and not very comfortable and not really value for the money we paid. Zeer luidruchtig door de dunne wanden. Je kon de buren horen praten. Bovenburen alsof er een dansvloer was. Very Nice Hostel as in place, facility, people and atmosphere, but pretty noisy because of the thin walls and echo's inside the church. Earplugs are free at the reception, you need them at night, certainly in high season. 15 min walk to the castle in city center is not to bad. Parking your car is terrible in Edinburgh. recommend to go by public transport or park the car outside of the city. Aangename hostel. Mooie inkleding en aangename gemeenschappelijke badkamer (goede douches). In de kamer zijn de lockers voor bagage in metaal en bijgevolg erg luid bij gebruik en ook wanneer de kamerdeur in het slot valt is dit vrij luid. Als andere kamergenoten in de nacht/heel vroeg vertrekken is dit wel storend. Wel aangenaam dat elk bed zijn eigen nachtlampje heeft. It was quite cold everywhere and the hostel is not really in the centre (maybe 20mins walking). But its is clean, you get a locker and the beds are fine! When we arrived at the hostel the welcome was not pleasant, the lady was constantly complaining about her job and was not friendly to us. She even told us that our booking was a real nightmare because she had to put us in the same room. The atmosphere in the hostel was also cold, not like other hostels we have visited before. There was also no wifi in the rooms. To conclude, in comparison with other hostels we stayed in in Edinburgh, the Belfort hostel is not the one you would want to go to. Absolutely terrible. Too many beds in the room, couldn't stand in between them (I weigh 56kg...). Facilities were on a different floor and on the other side of the hostel, had to pass through either the lounge or reception to reach the showers. Kitchen was bad, mice were in it. Also: READ THEIR COMMENTS TO REVIEWS. Very rude. Atmosphere was really bad, too, and the lounge is not at all cosy. Uncomfortable seats only. This hostel has nothing for you. It's cheap and still overpriced.